Ignore INSTANT QUOTE - IT IS SOMETIMES INACCURATE!!! 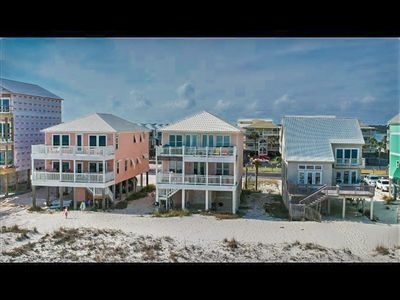 - Will price match any comparable VRBO condo rental that is unbooked for the dates in question! Must be verifiable. Inquire for availability. Calendar may not be up to date. 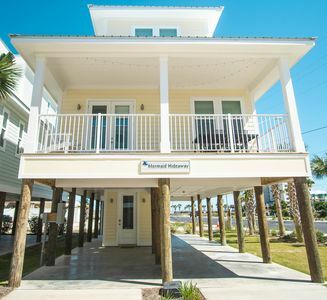 Located in Gulf Shores Plantation 'Dunes' (phase 2). 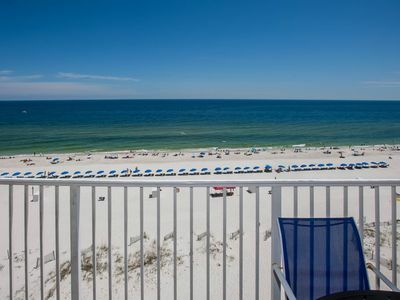 If you find a better price, it doesn't have a view! 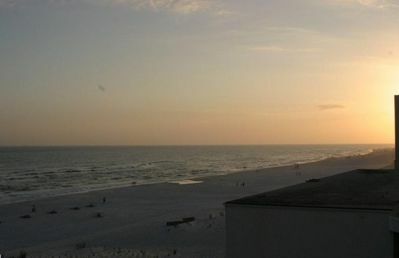 But this condo has a SPECTACULAR VIEW!! 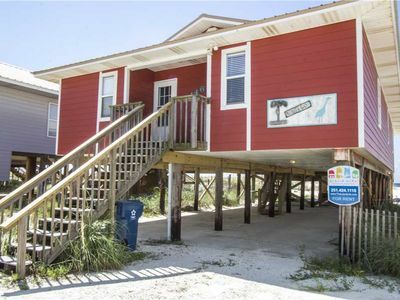 Two full bedrooms, two full baths! 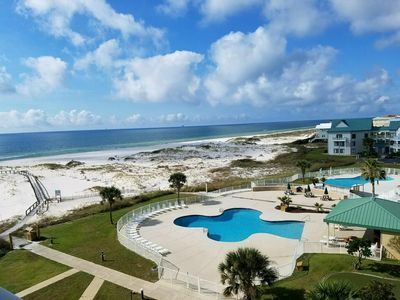 Condo comfortably sleeps up to six (Maximum Occupancy is 6 with no more than 4 being adults), and has a stunning ninth-floor, Gulf view from the living area, master bedroom, and wide balcony. See the Gulf sitting on the sofa or lying in bed. Desireable split bedroom design locates a bedroom and a bath on each side of the condo with kitchen and living area in between. Tiled and mirrored living area, tiled kitchen and baths. 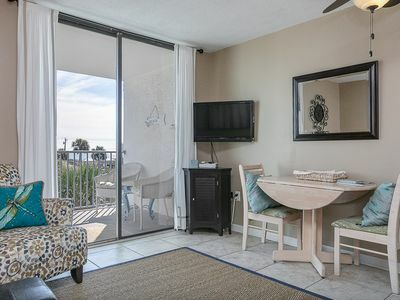 Beachy decor, and balcony accessible from the living area and master bedroom. 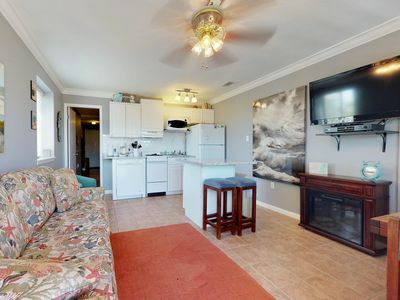 Fully furnished with full kitchen. 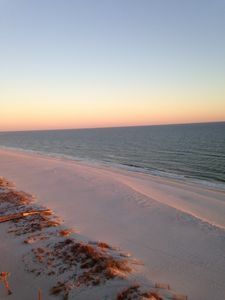 Wide unspoiled dunes and miles of sandy uncrowded beach. Nationally ranked Kiva Dunes golf course adjacent to the property. 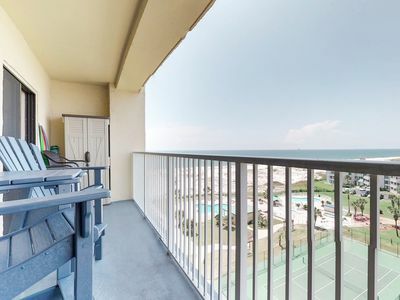 Relax on the balcony of this value-packed condominium and enjoy the views with your morning coffee or evening refreshment. No pets, and non-smoking units. NO SUB-LETS!! MAXIMUM OCCUPANCY IS 6. REFUNDABLE $200 Security Deposit. 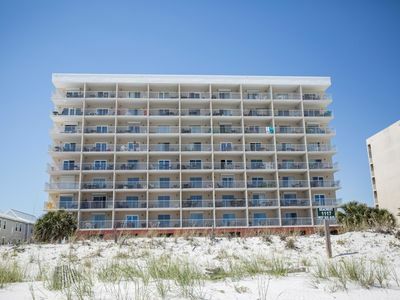 The security deposit becomes your damage deposit upon your arrival, and is completely refundable after your stay assuming conditions of rental are met, including departing the Condo in as-found condition (with only normal cleaning required), and keys are returned. 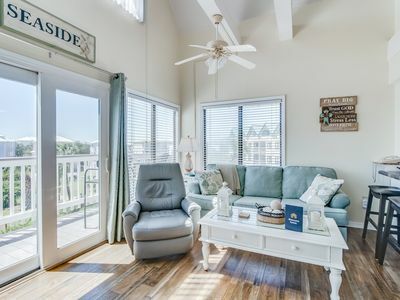 The rental is due per the VRBO established options. Keys and additional helpful information will be mailed to you 14 days prior to your arrival, including HOA instructions for obtaining parking registration online. Cleaning fee is subject to change and is a pass-thru charge. Payment is now required through the VRBO dashboard. If you are a previous renter, guest, friend or relative, you can contact me directly. No refunds for early departures from the Condo unless evacuation required. 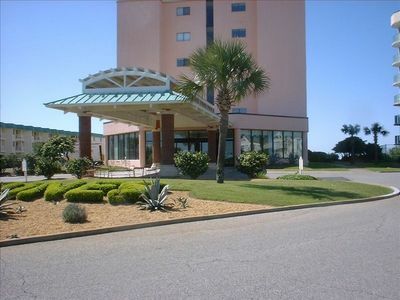 Four night minimum, and 7th night always free, and is included in the weekly rate which is 6 times the nightly rate. 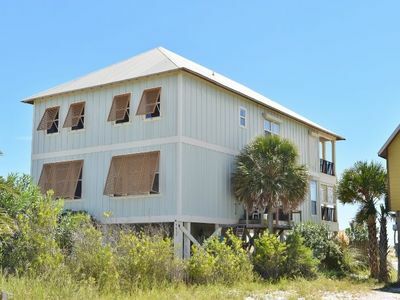 Summer rentals by the week (7 or more nights) required for 7th night free. 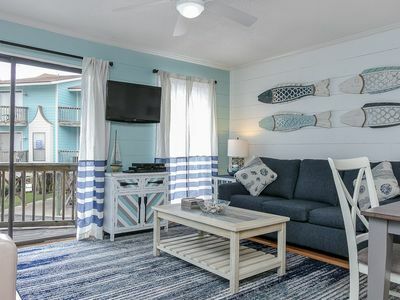 Note that rentals greater than 7 nights will be pro-rated and therefore calculated incorrectly by VRBO and will be adjusted. 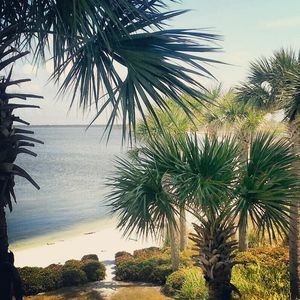 Google map or Mapquest 'Plantation Road, Gulf Shores, AL 36542 for directions or location. The access roads to the buildings are not named or shown, but the building is on the beach. Penthouse Level! 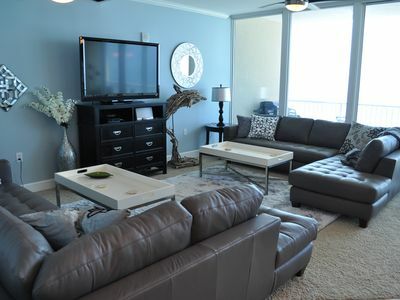 Gorgeous Condo with Unbeatable Views! 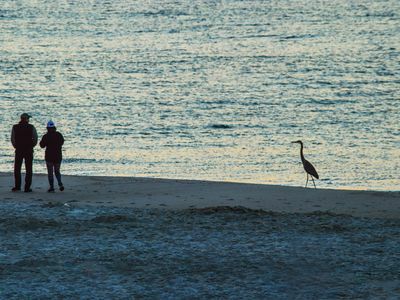 Late Summer Availability - BEST in Island Tower per Guest! 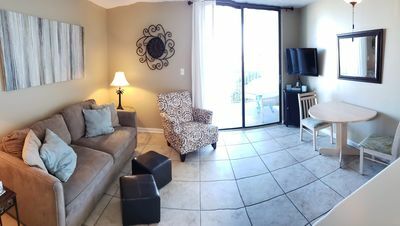 Oceanview 1 BR Condo - See why our guests love it - 100+ reviews! Amenities Galore! 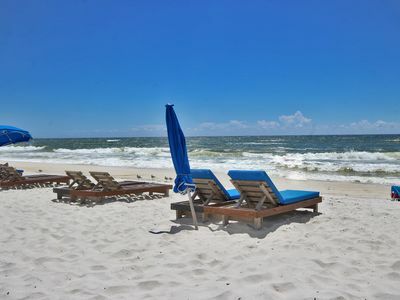 Experience Fun in the Sun at Gulf Shores Surf & Racquet Club 313A! 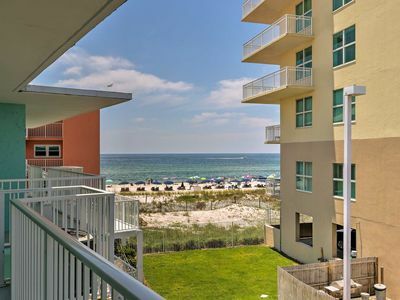 Beachside Gulf Shores Condo - beautiful views! New owners!